We all know the mantra. It’s been adopted by everyone from parents to friends to high school sports coaches, all the way to medical doctors and new age gurus. 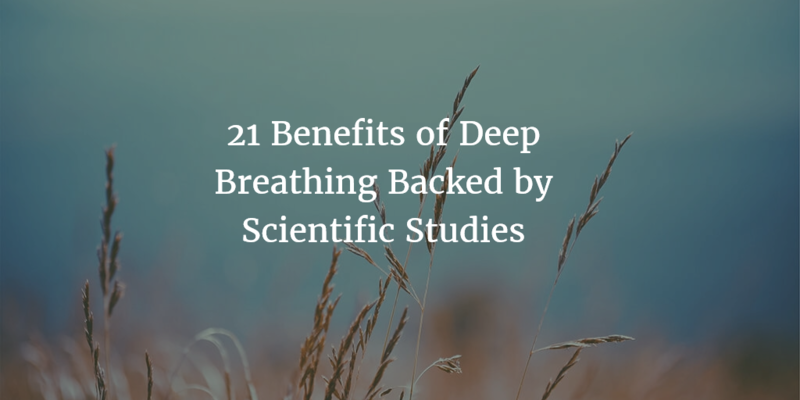 And for good reason, the health benefits of deep breathing are overwhelming, and science has proven it. In the 1970’s, Dr. Herbert Benson, a cardiologist and founder of Harvard’s Mind/Body Medical Institute considered the impact of relaxation techniques, particularly breathing techniques, on the natural release of neurochemicals for physiological health. He coined the term the “Relaxation Response,” to describe his findings, which echoed the wisdom of thousands of years of meditative practices. Deep breathing and the training of the Relaxation Response, is now used to treat a number of stress-related disorders. Well here I’ve composed 21 benefits, all backed by Scientific Studies. I hope I can convince you to incorporate some form of deep breathing practices into your own life! There are dozens of studies that support the use of deep breathing for stress and anxiety management. One notable piece of research in particular took 60 pregnant women in preterm labour and taught them a modified abdominal breathing technique. This was practiced 3 times a day for 3 days in order to reduce stress and state anxiety. The research found that those in the experimental group had significantly lower emotional stress and anxiety, indicating that deep breathing could be an effective nursing intervention for pregnant women in preterm labour. The study also found that the doses of labour represent drugs, ritodrine and atosiban, were also reduced as a result. Effects of abdominal breathing on state anxiety, stress, and tocolytic dosage for pregnant women in preterm labor. One study found that implementing deep breathing exercises as a relaxation technique was effective in managing pain for patients who had recently undergone coronary artery bypass graft surgery. 73.3% of the subjects found that deep-breathing was helpful in their pain management. Another study found that deep and slow breathing (DSB) techniques were effective in managing chronic pain, as measured by pain thresholds for hot and cold stimuli and their impact on mood states. Relaxation technique and postoperative pain in patients undergoing cardiac surgery. The effect of deep and slow breathing on pain perception, autonomic activity, and mood processing—an experimental study. A deep breathing technique was taught to students between the ages of 18 and 28 years in an attempt to improve mood and reduce stress. The study used both subjective (self-reported) and objective parameters such as heart rate and salivary cortisol levels, and found that deep breathing was an effective way to improve mood. Those who have suffered from depression know that sleep quality can often be significantly reduced as a side effect. A study which looked at the impact of deep breathing relaxation exercises, when combined with cognitive breathing therapy, over a four-week period, found that the quality of sleep in depressives significantly improved. Heart rate variability, another biomarker often correlated with depression and anxiety, also saw positive changes. Breathing exercise combined with cognitive behavioural intervention improves sleep quality and heart rate variability in major depression. The Purdue pegboard task is used as an indicator of fine motor speed and focused attention because it requires a degree of visuo-motor co-ordination. In one study the task was given after 10 minutes of nostril yoga breathing, a deep breathing technique, and there was an immediate improvement in task scores. This was also accompanied by a decrease in blood pressure. Another study found that ten minutes of deep breathing techniques, six days a week for six weeks, resulted in an improvement in scores on a rapid fire arithmetic deviation test and a playing card test. Blood pressure and purdue pegboard scores in individuals with hypertension after alternate nostril breathing, breath awareness, and no intervention. Effect of controlled deep breathing on psychomotor and higher mental functions in moral individuals. As OCD is an anxiety spectrum disorder, it may not come as that much of a surprise that deep breathing can be of benefit. A yogic deep breathing technique was taught to a group of adults with OCD, followed by a one year course of therapy. Assessments of the group at three, six, nine, and 12 month periods found that means of OCD and stress were both significantly reduced. There was also a significant reduction of OCD medication use, following the treatment. Efficacy of yogic techniques in the treatment of obsessive compulsive disorders. IBS effects millions of people worldwide, and there are a number of believed causes. It’s significantly correlated with stress related illnesses, but can often occur as a standalone issue. In one study, a deep breathing technique, as well as a set of 12 asanas (yoga poses) was taught to a group who had diarrhea predominant IBS. The control group were not taught the yoga techniques and were instead given loperamide, a standard IBS drug. Results found the yogic group to have both less IBS symptoms and less anxiety than the control group. Yogic versus conventional treatment in diarrhea-predominant irritable bowel syndrome: a randomized control study. There are a few of reasons that deep breathing can increase vitality. One is because it relieves stress, which obviously frees up a lot of energy that otherwise would have been lost in that way. Another is because it has been shown to produce increases in Growth Hormone (GH) and Dehydroepiandrosterone sulfate (DHEAS) two key hormones that are important for the body and associated with aging. Research found that 12 weeks of daily yogic training practices successfully increased GH and DHEAS in both males and females. Effect of Regular Yogic Training on Growth Hormone and Dehydroepiandrostereone Suflate as an Endocrine Marker of Aging. Obesity is a significantly problem worldwide, so many people turn to diets for weight loss. However, an issue that is often difficult to overcome is that of hunger pangs, whereby contractions occur in the stomach. Typically, these happen 12-24 hours after the last meal, which is tricky for those who are fasting or undergoing low-caloric diets which they need to stick to rigorously. 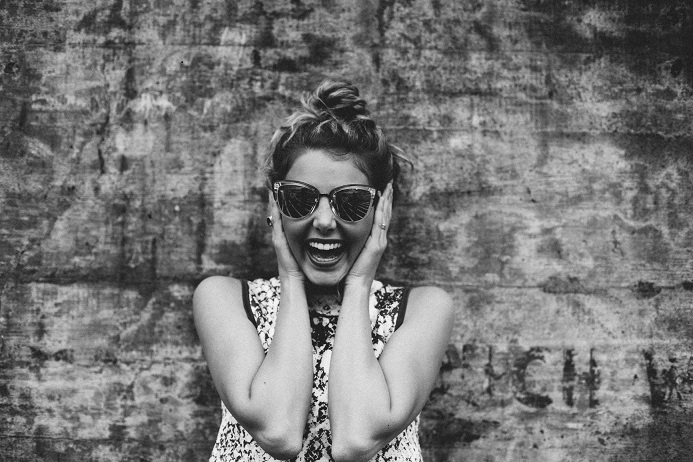 A recent study found that when given a deep breathing exercise, participants were able to significantly reduce, or even suppress the feelings of hunger on an empty stomach. Modified Qigong Breathing Exercise for Reducing the Sense of Hunger on an Empty Stomach. It is known that deep breathing relaxes the mind, but there have been little studies into the physiological effects of deep breaths. A 2016 study found that deep breathing techniques were effective at relieving both psychological and physiological tension in anxiety sensitive individuals. It has long since been known that deep breathing exercises can be used to influence respiratory rate in healthy individuals. What we haven’t known is to what extent this can improve heart rate variability and other biomarkers of heart function. A study of 36 participants found that one month of deep breathing caused positive changes in heart rate variability, an indicator of cardiac autonomic control. Influence of deep breathing exercise on spontaneous respiratory rate and heart rate variability. PTSD can be incredibly damaging to the lives of those who are unfortunate enough to be effected by it. Deep breathing, and other relaxation techniques such as yoga and mindfulness meditation, were all found to be effective in alleviating associated symptoms such as sleep disturbance, irritability, anger, sleep disturbance and problems with focus. Since 1980 the global prevalence of diabetes has risen from 4.7% to 8.5% (2014), and it continues to do so. Therapeutic intervention can be complicated and may require a number of treatments. Fortunately, a 2012 study looked at the impact of diaphragmatic breathing as a complimentary care method and found some positive results. It was shown that these breathing techniques were effective in reducing the oxidative stress in diabetics, and the anthropometry and glycemic parameters in type 2 diabetes. Diaphragmatic breathing exercise as a therapy. There are a number of causes of gastroesophageal reflux disease (GERD). One of these is when the surrounding structures around the lower esophageal sphincter (LES) such as the diaphragmatic muscle, become incompetent. One study found that a 4-week breathing training program significantly improved quality of life measures in GERD sufferers and decreased their usage of proton-pump inhibitors (PPIs), the drugs used to reduce gastric acid production. Positive effect of abdominal breathing exercise on gastroesophageal reflux disease. Deep breathing and meditation is known to correlate with lower levels of cortisol and higher levels of melatonin. For this reason, it’s interesting to consider to what degree these types of techniques can influence oxidative stress, particularly in athletes who require adequate relaxation for recovery. A 2011 study found that one hour of diaphragmatic breathing in a quiet, relaxing place, was successful in improving antioxidant defence following exhaustive exercise. It was also directly correlated with a decrease in cortisol and an increase in melatonin. This study may suggest that these types of breathing exercises can protect athletes against the long-term adverse effects of exercise-related stress. 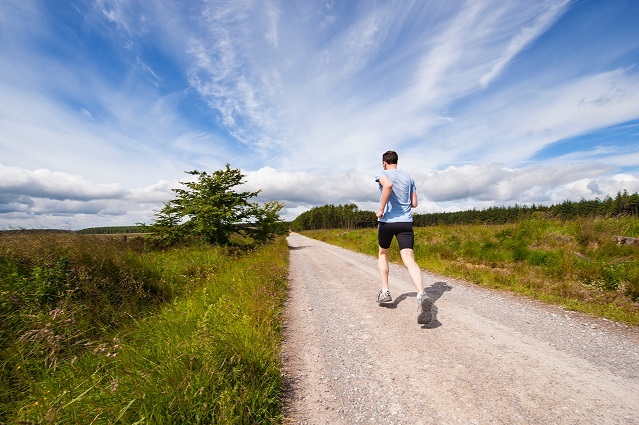 Diaphragmatic breathing reduces exercise-induced oxidative stress. Cancer treatment can have a number of long-term negative effects on the quality of life for those who are in the middle of treatment. A six-week intervention with elderly patients undergoing either breast or prostate cancer treatment, found that deep breathing, muscle relaxation, and guided imagery, significantly improved the quality of life of the sufferers. Effectives of progressive muscle relaxation, guided imagery and deep diaphragmatic breathing on quality of life in elderly with breast or prostate cancer. Deep breathing exercises have also been proposed as a low-cost method for managing cravings. 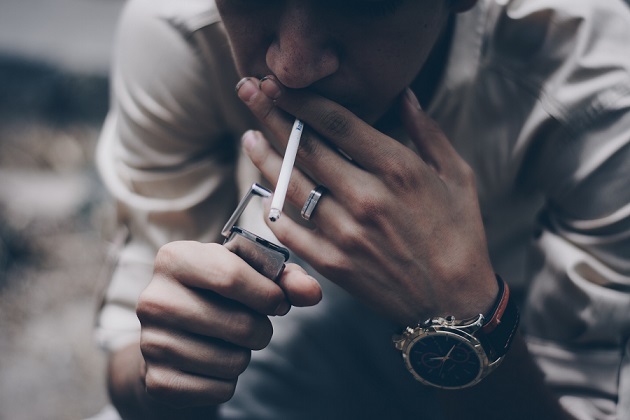 A study that looked into using yogic breathing exercises as a way to assist smokers in abstaining from cigarettes found that the techniques could successfully help curb cravings. The participants were either shown a video of breathing exercises or instructed to do so for 10 minutes. Both groups had notably reduced cravings. The acute effects of yogic breathing exercises on craving and withdrawal symptoms in abstaining smokers. Glycemic response is incredibly important in the management of weight and energy. Modern diets often have excessive sugar content and this can be very damaging to our health. One particular study looked at the impact of deep breathing exercises on glycemic response and found that there was a positive change, which suggests that breathing could play a role in weight management. Relaxation breathing improves human glycemic response. Memory is typically a very useful gauge of overall brain health. A 2016 study, in which participants were taught deep, alternate-nostril breathing, found that after a 30-minute session, and at a 24 hour follow up, memory recall was significantly improved. Deep Breathing Practice Facilitates Retention of Newly Learned Motor Skills. Breathing is a fundamental component of physical health, so it’s unsurprising that lung function is so important to our own vitality and fitness. A study in 2011 found that deep breathing exercises, when performed for 2, 5 and 10 minutes, were able to notably enhance lung function in healthy young individuals. Acute effect of deep breathing for a short duration (2-10 minutes) on pulmonary functions in healthy young volunteers. We know that deep breathing can relax our minds, but it’s interesting to consider in what way it can have a direct impact on our physiology. A 2016 study found that after performing 20 minutes of breathing exercises and having their saliva tested at 5-minute intervals, participants had significant changes in the salivary cytokines, which serve as biomarkers for inflammation. This means that deep breathing influences our physiology on a molecular level, almost immediately. Yogic breathing when compared to attention control reduces the levels of pro-inflammatory biomarkers in saliva: a pilot randomized control trial. You don’t have to be spiritual to reap the benefits of meditation or deep breathing. All you need is an open mind and an acceptance of the scientific validity of the techniques. Deeper breath = more oxygen in the bloodstream = more energy. I read an article about mtn. climbers using breathing techniques to fend off the cold. They went shirtless while their Himalayan sherpas went full yak jacket. Thanks for the informative,well-researched article. I will make an effort to breathe deeper all the time! What a simple way to improve your wellbeing. Interesting about the mountain climbers. Check out Wim Hof, he has some videos on YouTube of simple breathing techniques that he’s used to run marathons barefoot in extreme conditions. It’s similar to the fire breath in some schools of Yoga, but he goes into more detail about how he uses it with exercise and in the freezing cold. Breathe Energy ad well as air and from The Breath itself! Relax & enJoy The ride! !